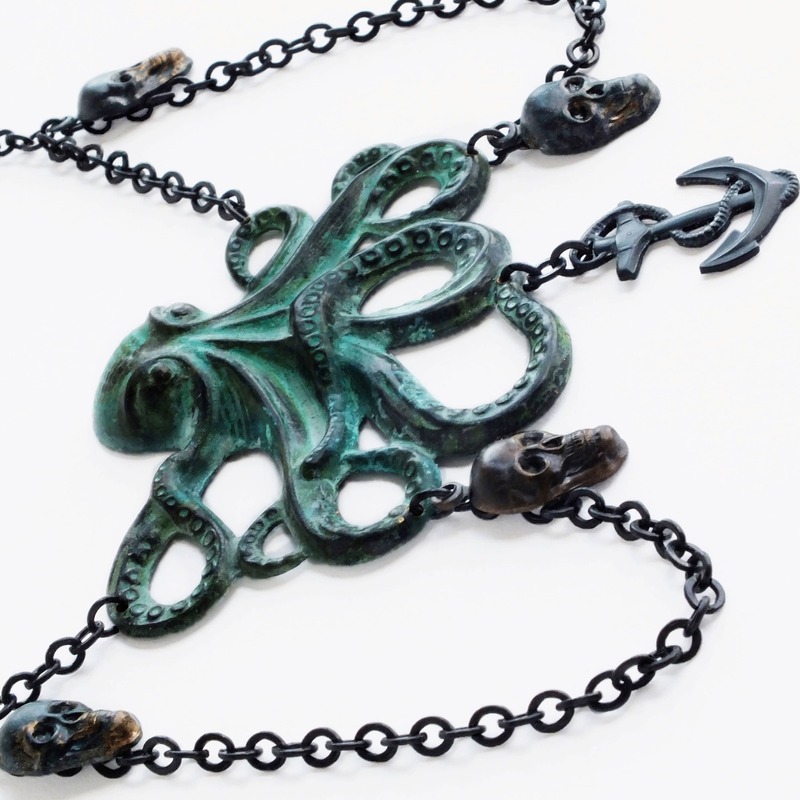 Large handmade octopus necklace with green verdigris Cthulhu pendant and black skull charms. 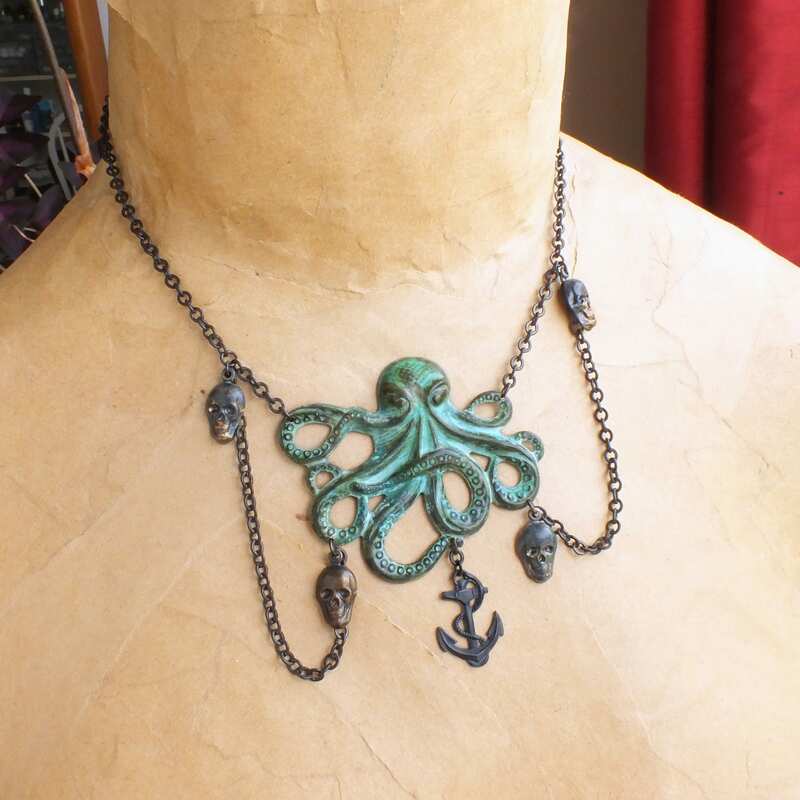 All US made antiqued and verdigris brass components. 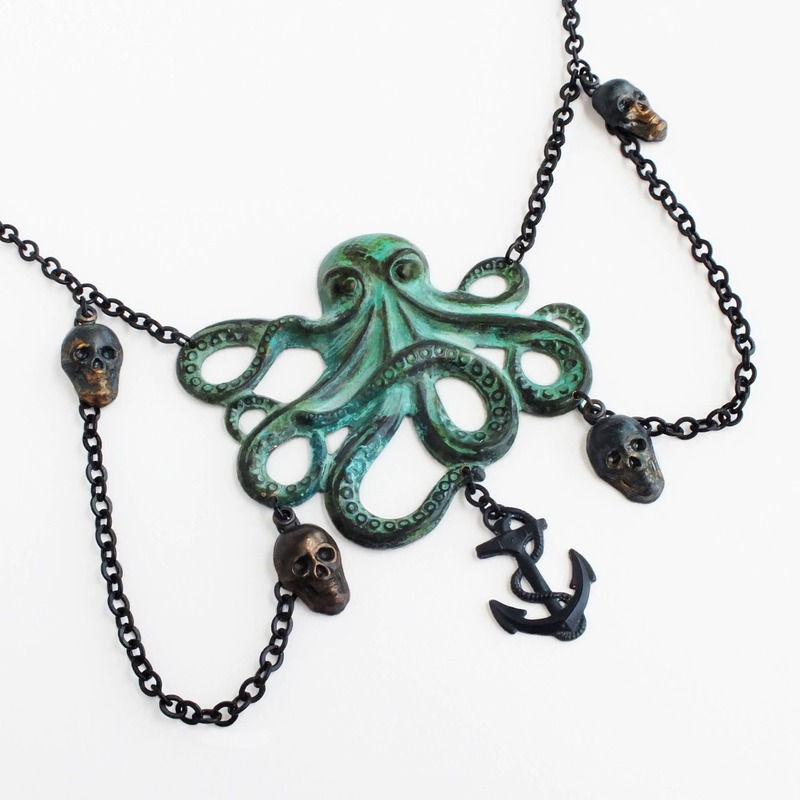 Octopus is 6.3 cm - 2 1/2 inches across. 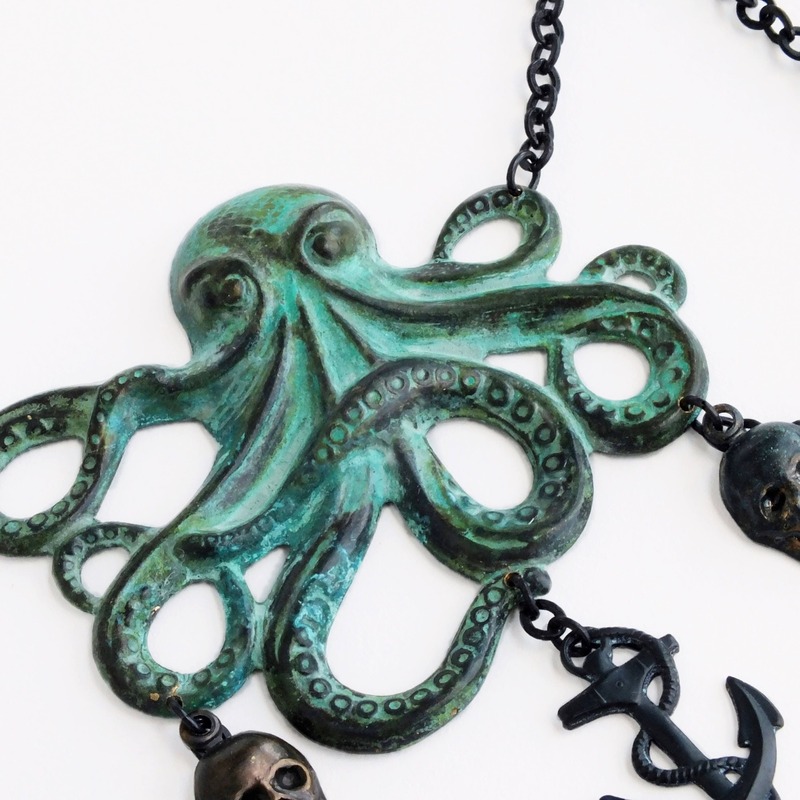 A giant evil octopus displaying her macabre collection from the ships she has sunk! 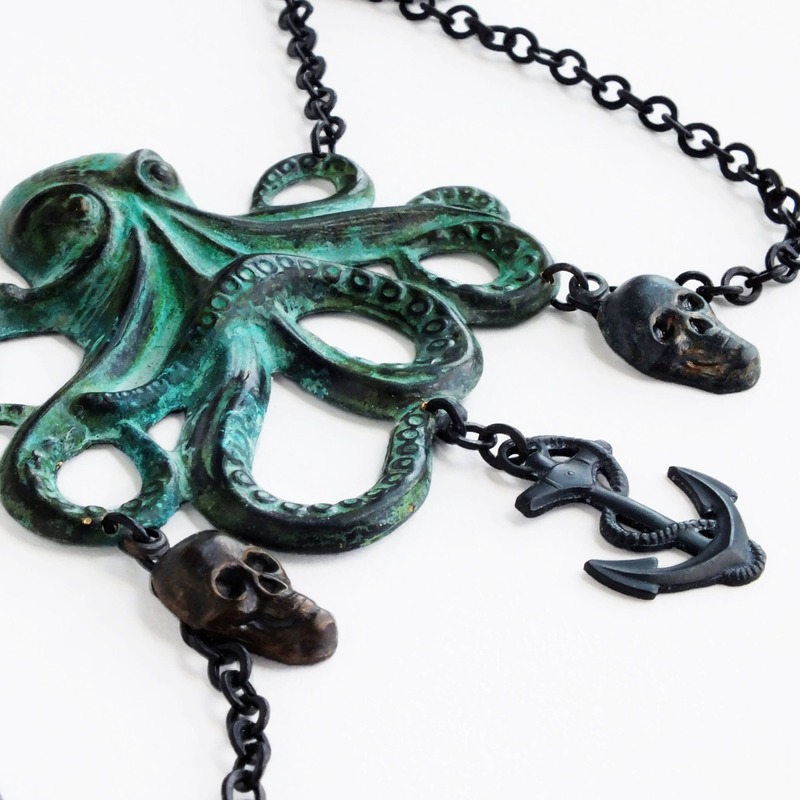 The exquisitely detailed brass octopus has been given a weathered green patina and adorned with a collection of smoky black brass skulls, chain loops and an anchor.